There is growing interest in Asia’s nascent green and sustainable loan market, with a clutter of deals expected to be signed in the second half of this year. Industry experts are seeing growing demand on the funding side, after the Asia Pacific Loan Market Association (APLMA) issued its eagerly-awaited Green Loan Principles as a benchmark for the wholesale green loan market in March. These voluntary standards provide guidelines for those looking to lend to green projects. We’ve also seen further developments in the market for sustainability-backed loans, through which companies can borrow at a cheaper rate if they hit various targets on environmental, social and governance (ESG) criteria. The first such deals in Asia have started to close. “On the loan front, there are transactions in the pipeline across Asia Pacific. We’re in the middle of executing a number of deals,” Herry Cho, head of sustainable finance for Asia Pacific at ING tells GTR. Cho, who sits on the APLMA’s green loan working committee, says that she expects ING to close both ESG-linked and green deals this year, after the Dutch bank was involved in a flurry of transactions in Asia Pacific in recent months. In November 2017, it restructured a portion of a US$150mn loan to commodity trader Wilmar. The restructure meant the company would get more favourable pricing if it hit ESG targets, adjudicated on by an independent company. It was also one of 15 banks to provide Olam, another commodity house, with Asia’s first sustainability-linked club deal, signed in April. ING is one of the banks active in the green loan sector (loans which fund green projects, rather than being target-based) too. Earlier in June, it was joint bookrunner with HSBC and Bank of China on a £500mn green loan for Australia’s Macquarie Group. Macquarie has been supporting various renewables projects in the region, including the Formosa offshore wind farm in Taiwan. Cho says that big demand exists on the funding side, but that a lack of bankable projects in Asia is holding the sector back – as was the case when green bonds first came along early in the decade. “The demand side will change on the loan market side as well, banks are being pushed to invest more sustainably. On the supply side, there’s a sense that there isn’t sufficient supply of sustainable projects on this side of the world yet,” she explains. Peter Zaman, a partner at Reed Smith specialising in green finance, agrees that the Green Loan Principles have led to an increase in demand for such loans. He is fielding more enquiries and seeing increased deal flow for both the green loan and ESG-linked loans. “Without a doubt we do see growing interest. Within the Asia Pacific region, particularly out of Hong Kong, we’ve come across a number of loan transactions by international financial institutions which are increasingly be earmarked as green loans due to the underlying purpose of the loan, renewable energy investment. Where a suitable borrower is found by lead lender, syndication of such loans has not been an issue as there is great interest for financiers to lend against ESG or their own green lending criteria,” he tells GTR. Commodity traders and processors in Asia are also noting the trend, hungry to obtain cheaper financing in return for hitting sustainable standards. Upon completing the aforementioned club deal, Olam’s group treasurer, Jayant Parande, confirmed that the company was looking for more ESG-linked transactions. Meanwhile, Agrocorp, another trader, is monitoring the market closely. “Something that’s of interest to us is that certain players have been able to obtain discounted financing by making commitments to sustainable sourcing, ensuring practices comply with environmental standards. That’s something we’re looking to see if we can do ourselves,” Vishal Vijay, head of business development, tells GTR. The sustainable finance sector is emerging in the shadow of a bigger trend in regional trade finance: fintech. Technology dominates the conversation in Asia Pacific, with innovations in blockchain and artificial intelligence, to name two of the most prominent areas, capturing the headlines and the imagination. The two are not mutually exclusive, however. 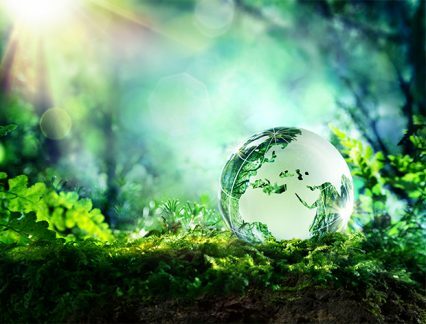 While various third-party companies such as Sustainalytics are providing independent auditing on whether borrowers are meeting ESG standards pre-determined in loan agreements, technology can play a big role, says trade finance lawyer Jolyon Ellwood-Russell of Simmons & Simmons, Hong Kong. “The question on sustainable loans is always how do you verify the outputs. The answer comes from the progress the trade finance industry is making in tradetech and the various solutions that are being deployed that have the utility and credibility to be able to provide the accurate data,” he says. Ellwood-Russell expects to see more sustainable supply chain notes linked to sustainable assets over the rest of the year. “What these funds are looking at is a form of sustainable asset-backed financing where their investment is secured by the receivables in the underlying supply chain,” he tells GTR.